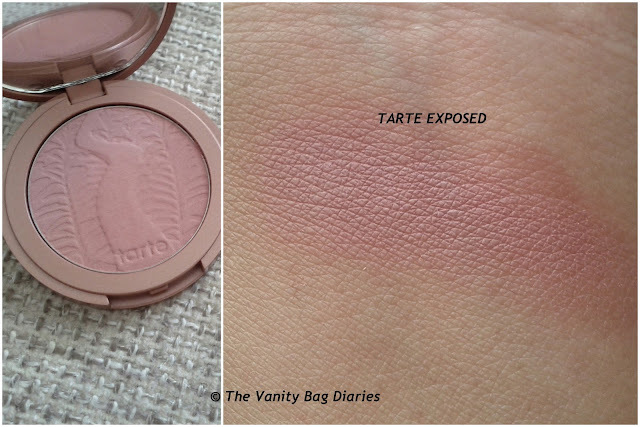 Today's post is the review of Tarte 12- hour Amazonian Clay Blush in 'Exposed' and a quick comparison with MAC Blushbaby. I am into natural looking, barely there blushes these days, am really enjoying my newly acquired Tarte Exposed & MAC Blushbaby blushes. 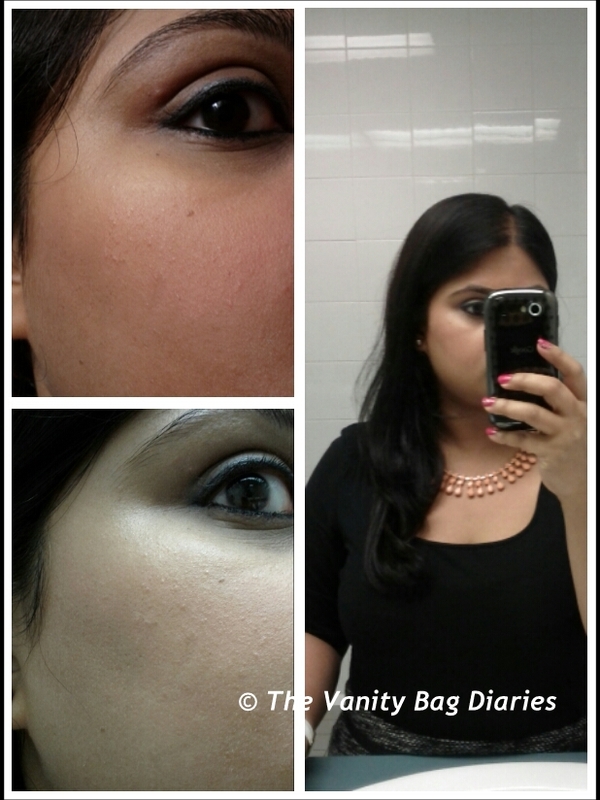 The below pic is how Tarte exposed looks on me. 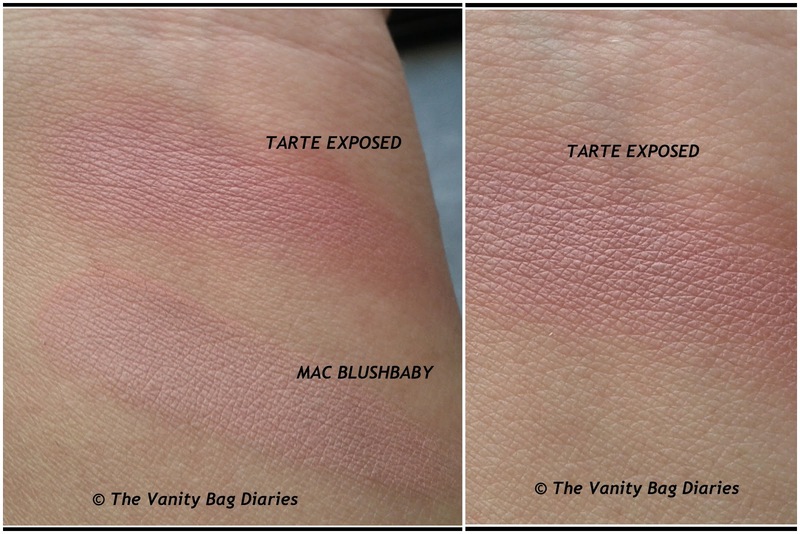 When swatched, Tarte Exposed and MAC Blushbaby look similar, Tarte Exposed is definitely more plummy and pinker as compared to MAC Blushbaby. On my cheeks, MAC Blush baby looks more like a muted dusty rose pink shade and Tarte exposed looks quite natural and more softer in comparison. Both of them are buildable. Both of them are beautiful colors and are perfect for everyday. On my skin tone, Exposed looks more natural and barely there as compared to Blushbaby (looks a gorgeous dusty rose when built up). 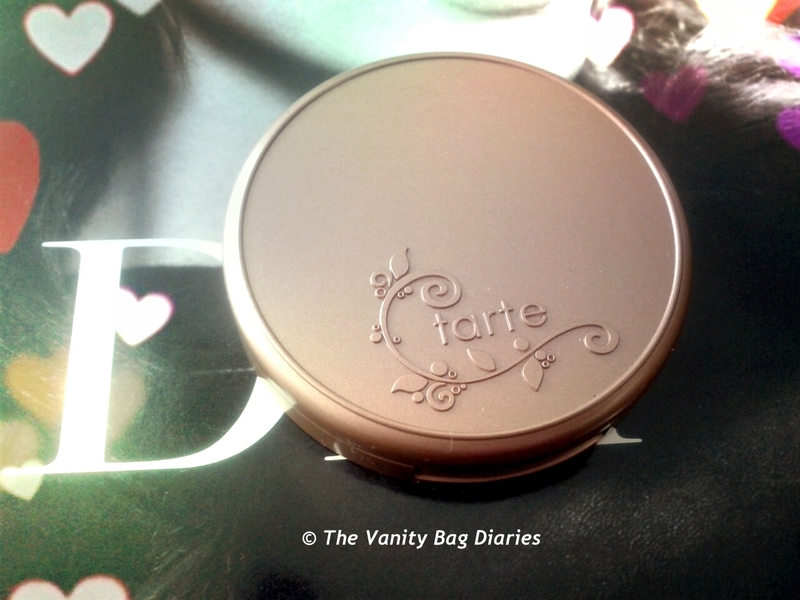 Have you tried the Tarte Amazonian Clay Blushes ? Which is your favorite shade of the range ? thanks Raaga, its a pretty color n am definitely enjoying both of them ..
OMG.. its so pretty.. looks nice on you Saumya! Thanks Megha. Welcome to my blog :) I am really enjoying natural blushes as they go with everything ..
Hey Saumya...I'm a new follower of ur blog and I can relate to what I've written in ur "about me" sooooo well as far as ur likes are concerned. This blush is really nice...love the natural flush of colour it's giving you. Thanks Dollie, glad u liked it :) Welcome to the blog, hope to see you more often :) n same pinch ..
Oh! try n see online ..yup will check out soon ..
Visit Saumya Rastogi's profile on Pinterest.